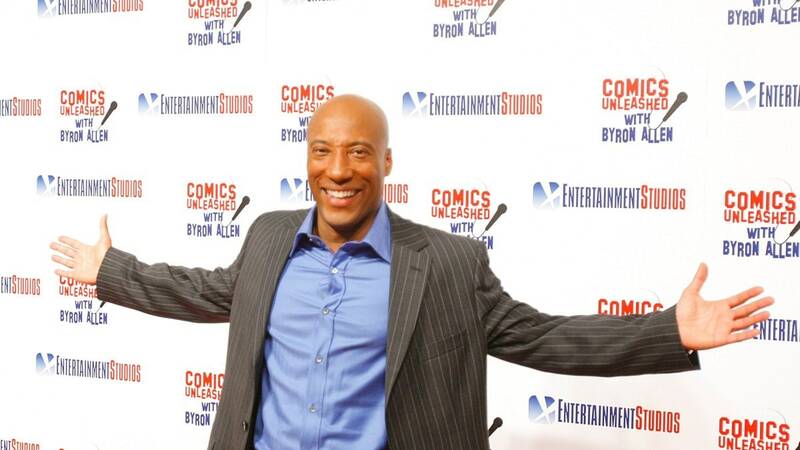 Byron Allen’s Entertainment Studios is the machine behind the upcoming Keanu Reeves’ led Sci-fi thriller Replicas, set to usher in the new year with its January release that rounds out a productive run for the media mogul, who closed major deals while setting the stage for the company’s 2019 blockbuster. Earlier this year, Allen sealed the deal and committed $4 million for the North American rights to Replicas and launched Entertainment Studios Motion Pictures International. The original Entertainment Studios Motion Pictures is the theatrical distribution arm of Entertainment Studios (theGrio’s parent company). According to the official movie description, the sci-fi thriller, which stars, Keanu Reeves, Alice Eve, Thomas Middleditch and John Ortiz centers around neuroscientist William Foster (Keanu Reeves) who is on the verge of successfully transferring human consciousness into a computer when his family is tragically killed in a car crash. Desperate to resurrect them, William recruits fellow scientist Ed Whittle (Thomas Middleditch) to help him secretly clone their bodies and create replicas. But he soon faces a dilemma when it turns out that they can only bring three of the four family members back to life. All eyes on Allen, who has become a major player in the movie and entertainment space. Replicas is a Jeffrey Nachmanoff-directed thriller gives light to his immense influence as he uses his media powers to continue to build his movie empire. Replicas is proof of that. This past year, Allen has been on a roll. This new division will be focused on international sales and distribution. In collaboration with FilmNation Entertainment, Entertainment Studios Motion Pictures International has secured 47 Meters Down: The Next Chapter as its inaugural project. The film is the sequel to 2017’s 47 Meters Down, a shark thriller that grossed over $44.3 million on a $5.5 million budget. It was the highest grossing independent film in 2017. The sequel is currently in pre-production with a projected domestic premiere date of June 28, 2019. “International feature film distribution is a natural extension of the expanding reach of our global media, content, and technology company,” Allen, Founder/Chairman/CEO of Entertainment Studios said previously in a press release.